Some people are born with a natural gap in their front teeth, also known as a diastema. In fact, a report by the American Dental Association indicates that approximately 25.4 % of Americans are born with a diastema. Although a diastema generally isn’t a problem, most people want the gap closed, mainly for aesthetic reasons. If you are conscious about the gap in your mouth, there are various ways to get it closed. Fraenum is the string of tissues underneath the tongue, under the top lip and near the back of the teeth. The fraenum helps to position the baby teeth. If the fraenum is placed further down on the gum than normal, it can keep your front teeth apart. 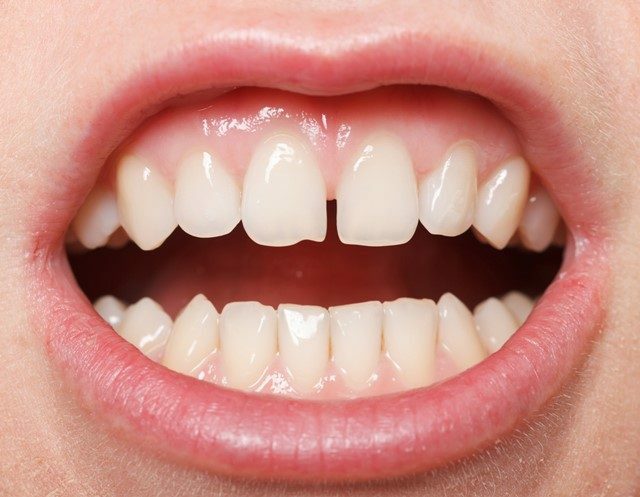 Our teeth naturally have spaces between them when they first come out. The eruption of the canine teeth closes these gaps. Some people are born with a relatively large jaw compared to the size of their teeth. Some people are born with extra teeth. This can prevent other teeth from coming together, creating a gap. Some people have undersized teeth, which causes gaps. Some children are born with a missing tooth, whereas others lose them to various circumstances in adulthood, leaving a space. This is the fraenum that attaches the tongue to the bottom of your mouth. A restrictive lingual fraenum that prevents your tongue from poking out past your lips can cause a space in your front teeth. Some people may feel embarrassed about the gap and uncomfortable smiling and showing their teeth. A large gap in your teeth can prevent the teeth close to the affected ones from coming through, causing a problem with your bite. Although there are different treatment options, the condition is usually treated by orthodontics, composite fillings or a combination of crowns or veneers. Tooth bonding is a cosmetic dental treatment for gaps between teeth. The procedure uses a tooth-coloured resin and can be custom-made to cover the gap between your front teeth. 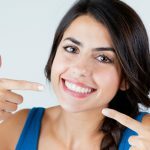 How to Know if Teeth Bonding is Right for You? Dental bonding is recommended for people with a small gap that is less than 5mm. 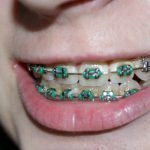 However, it should not be treated as a substitute for orthodontic treatment. According to the National Institute of Health, most patients with a diastema cannot be treated with bonding alone. For instance, if you have crowded or crooked teeth or a misaligned bite, your dentist might suggest you see an orthodontist first. Also, if you are a smoker or a heavy coffee drinker, bonding might not be right for you as it easily stains. Bonding is not recommended for people with a bad chewing habit. The material used for bonding is not strong enough and is not recommended for people who bite their fingernails or chew on pens. Dental veneers are made of a thin layer of porcelain or resin, which is placed over the natural surface of the tooth to renew its shape, appearance, and in some cases, it’s function. 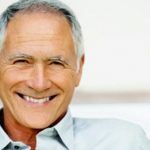 Veneers are highly recommended for patients who have straight teeth and whose bite does not require any correcting. 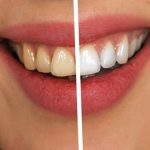 They are also an excellent option for people looking to make their front teeth look a little larger and longer than their natural size. Porcelain veneers are extremely thin, tooth-coloured shells that are custom made for your teeth. They work by covering your teeth to recreate a perfect smile. These veneers do not stain easily and are strong and durable. Lumineers are a more modern and remarkably thin form of veneers. It is made of special, strong and durable porcelain that is as thin as contact lenses and bonded to your tooth, making it a less aggressive alternative treatment to traditional veneers, requiring minimal tooth prepping or sculpting. This treatment is recommended for people with multiple gaps in their teeth that are wider than 5mm, crooked teeth and those who don’t cover up their existing teeth. This is the most popular treatment for dental gaps. 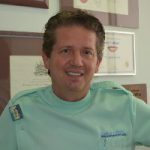 This treatment involves the reshaping of the mouth, regardless of where the gap is. Dental braces work by placing pressure on the teeth, forcing them to shift. They help to straighten the teeth using wires and are attached to your teeth with composite material. Invisalign is a clear aligner that helps correct your teeth without announcing its presence. This treatment is recommended for people with multiple gaps that don’t exceed 5mm. Invisalign braces help to close the gap and straighten teeth using a series of ultra-thin, clear aligners that are changed every two weeks. An implant is a fixed or removable replacement that is designed to fit into the gap. They are recommended when the gap is a full tooth width. The implant is placed in the gum or bone. Sometimes it is attached to the surrounding teeth. Other than their high success rate, dental implants are known for their durability. Can You Have Teeth Gaps Other Than Your Front Teeth? Yes. You can have a gap between any two teeth. 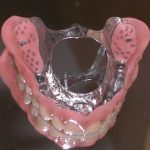 Is Prevention of Diastemas (Gapped Teeth) Possible? Yes. However, not all cases can be prevented. For instance, diastema, which is as a result of your jaw size, a mismatch between your teeth or a missing tooth cannot be avoided. On the other hand, people with a tongue thrust can relearn to swallow properly by pushing their tongue against their palate. This can help prevent the gap from widening.